LA Photo: McCourt Trial Day 4. Day 4 of the McCourt v McCourt trial. 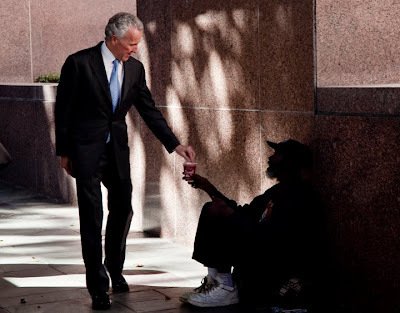 Frank McCourt tipped a panhandler a $20 bill as he left the L.A. Superior courthouse today.